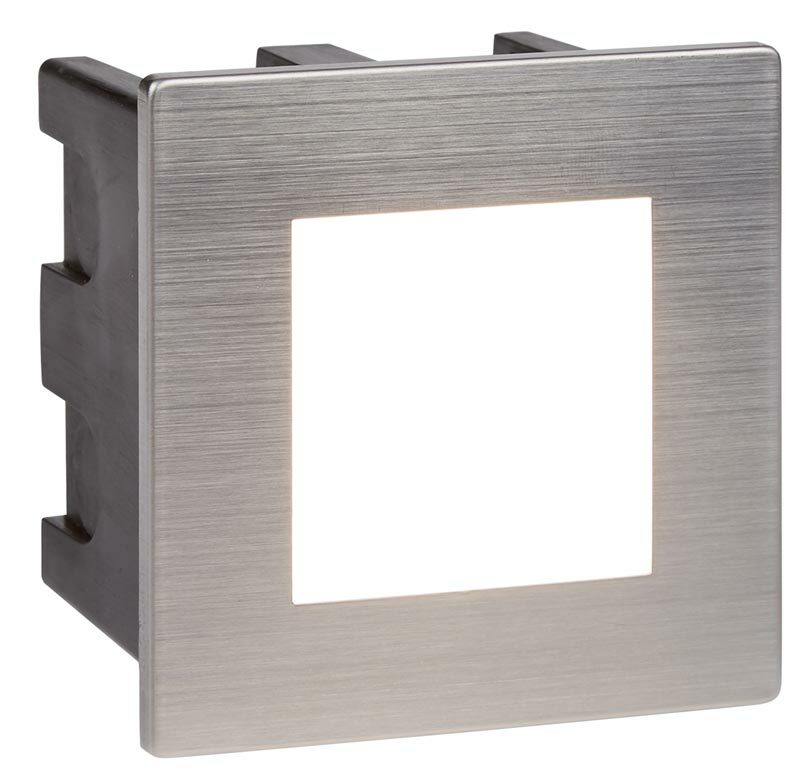 This Ankle small 1.5w LED recessed outdoor wall light in stainless steel with opal diffuser is rated IP65, charming, practical and designed for use as a recessed marker light. The flat face plate and opal polycarbonate lens design make it perfect for highlighting garden pathways or steps. Fitted with 1.5w of cool white LED’s that give 64 lumens. It adds a subtle but beautiful illumination to ensure your walkways are marked and accessible. The non-replaceable, integral LED’s use 85% less energy and last up to 20 times longer than incandescent bulbs. This light is rated IP65, fully protected and suitable for use outdoors or in bathrooms. If you are searching for brick or path lights, this fitting should be considered. Fully weatherproof and supplied with a manufacturer’s 3 year anti corrosion warranty, which relates to the corrosion of finishes on lights like this one. Locations within 5 miles of the coast are excluded. Exterior fittings must have an IP (Ingress Protection) rating which indicates the fittings ability to prevent solids and liquids penetrating the enclosure. The higher the number, the greater the protection. The minimum rating for an outside light exposed to the weather is IP23. This fitting is rated IP65. Supplied by Searchlight who manufacture some of the best traditional and modern classic designs such as the Ankle small 1.5w LED recessed outdoor wall light in stainless steel with opal diffuser you see here. These lights will connect directly to 230v. No separate driver is required.